Dr. Stephen LaHaye is an attending staff cardiologist at Kingston General Hospital and is an Assistant Professor at Queen’s University, both located in Kingston, Ontario. 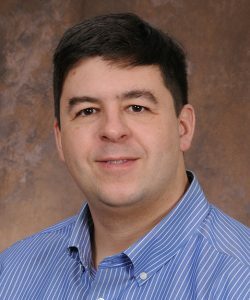 Dr. LaHaye is a member of the Queen’s University Advanced Informatics Laboratory (QUAIL). He specializes in the application of knowledge management to cardiovascular disease. His research interests include the use of Wait List Management Systems to improve timely and efficient access to care, the use of Patient Kiosk technology to ascertain patients’ values and preferences, and the use of Knowledge Management Systems to provide point of care clinical decision support. Under Dr. LaHaye’s direction, the Hotel Dieu Hospital Cardiac Rehabilitation Centre successfully implemented, and continues to use, an Internet based Clinical Decision Support System (the Vascular Health Promotion Network, www.vhpn.com). In 2009, Dr. LaHaye was awarded an Academic Health Science Centre Innovation Fund Award to develop a Pacemaker Wait List Management System (www.Pace.MD) and Post-Implantation Patient Tracking System”. Dr. LaHaye is also the President and CEO of Clinical Support Systems Inc., a leading edge developer of Web Application Services. Under Dr. LaHaye’s direction, Clinical Support Systems became the first OHIP Billing Web Application Service in Ontario (www.Cab.MD), which now provides service to over 2,200 physicians in Ontario.